The 24th film in the James Bond franchise will be directed by Sam Mendes, and written by John Logan, EON Productions, MGM and Sony announced today. 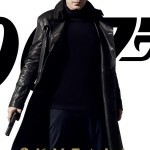 Both Mendes and Logan worked on the last Bond film, Skyfall, as director and writer. Daniel Craig was also confirmed to play 007 once again, after three previous successful films; Casino Royale, Quantum of Solace, and Skyfall. 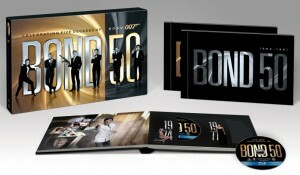 Bond 24 is scheduled to hit theaters on November 6, 2015 in the US, and October 23, 2015 in the UK. 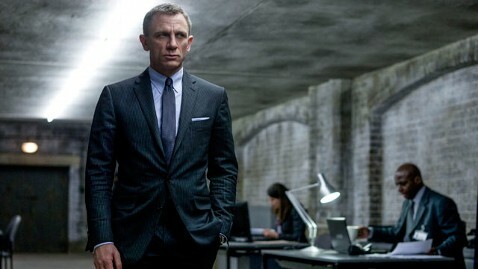 “Following the extraordinary success of SKYFALL, we’re really excited to be working once again with Daniel Craig, Sam Mendes and John Logan,” said Producers Michael G. Wilson and Barbara Broccoli, EON Productions. “I am very pleased that by giving me the time I need to honour all my theatre commitments, the producers have made it possible for me to direct Bond 24,” said Sam Mendes. 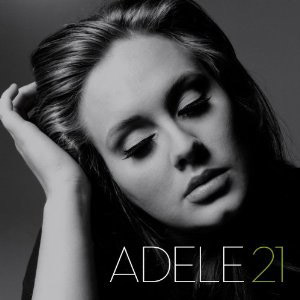 It’s official now…Adele will sing the theme song for the upcoming James Bond film Skyfall. We don’t know any more details than that though, so keep your ears open. 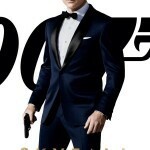 Previous contemporary artists who have performed theme songs for James Bond films include Jack White and Alicia Keys (Quantum of Solace), Chris Cornell (Casino Royale), Madonna (Die Another Day), and Sheryl Crow	(Tomorrow Never Dies). 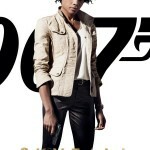 Check out the UK cinema posters revealed for Skyfall, the 23rd James Bond film set to hit theaters worldwide starting October 22, 2012. (UK Oct. 26, US Nov. 9.) 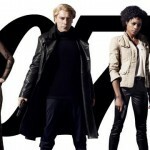 The posters feature Daniel Craig (James Bond), Naomie Harris (Eve), Javier Bardem (Silva), and Bérénice Marlohe as Sévérine. There’s also a cast poster featuring all four featured actors. Which one do you like best? We finally got a look at the official poster (or at least one of the official posters) for the upcoming James Bond film SKYFALL. The poster isn’t exactly groundbreaking, although it’s presented in black and white reminiscent of the way Casino Royale (2006) opens — in grainy black and white, high contrast film. 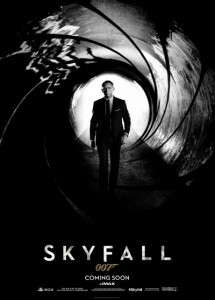 Directed by Sam Mendes (Road to Perdition), SKYFALL is the 23rd film in the Bond Franchise and stars Ralph Fiennes (Gareth Mallory), Daniel Craig (James Bond), Javier Bardem (Silva), Judi Dench (M) and Helen McCrory (Clair Dowar). Click on the image for a larger view.